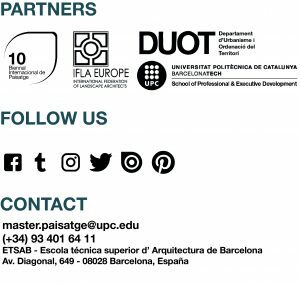 NEWSLETTER – Page 2 – Master in Landscape Architecture Barcelona – Universitat Politècnica de Catalunya – 35ª EDITION. Within our workshop B1, Green Systems Workshop ,we are pleased to announce the following act: Lecture by Franco Zagari Next Wednesday, January 31th, at COAC at 19:00hrs. You can’t miss it!